HomeSalt LampsHow the Himalayan Salt Lamps work with the Light? 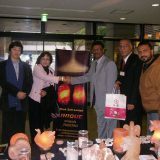 This article is told about that how the Himalayan salt lamps influence our health with lights. 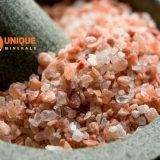 If you want to buy Himalayan Salt Lamps you may contact to Unique Mineral. 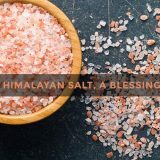 They are one of the top salt dealer in Pakistan that supply all type of salt product of Himalayan salt. 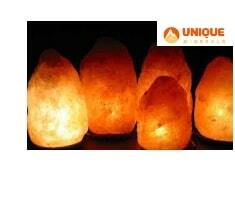 They are supply the Himalayan Salt Lamps in Wholesale from Pakistan. 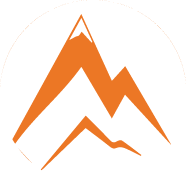 The crystal salt lamps of the Himalayas provide benefits for environmental health, soothing and homeopathic, the most immediate and dramatic are those with respiratory, asthma and respiratory allergies. 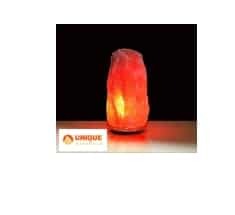 Salt lamps naturally clean the surrounding indoor air, either directly or indirectly. This is a scientific fact based on the inherent properties of this salt. It is important to breathe good air, free of contamination, germs and floating bodies such as pollen, dandruff and dust. Unfortunately, the most polluted air to which we are exposed is usually the interior. Homes, offices and businesses, large and small, are often overlooked in the areas of indoor air quality and the environment. Houses are especially important for air quality because that’s where we live, eat and sleep. With all the time we spend breathing in our homes, does not it make sense to ensure that our air, at least, is healthy? The air is full of negative and positive ions. To maintain a healthy atmosphere, these negative and positive ions must be kept in balance. However, current technology, such as electronics, motor vehicles and our heating and cooling systems, produces so many positive ions that our air is out of balance. causing stress, sleep disorders, migraines and allergies, just to name a few. For example, most of our TVs operate at a frequency of approximately 100 to 160 Hz. As, our brain waves only vibrate at approximately 8 Hz. Television vibrates more than twenty times faster than our brain waves! Is it surprising that so many diagnoses of ADHD, nervousness and insomnia have been diagnosed? The body to produce free radicals which can cause cancer, among other life threatening diseases. By placing a salt lamp next to the TV and other electronic components, the amount of negative ions (which are good) will increase. I remember the first time I installed salt lamps throughout the house. My mother came to visit me and asked if I had drugged the children! I could not believe that the lamps had made such a difference. Trust me, in a house full of eight children, you will realize when they calm down. Three of them had a diagnosis of ADHD and this really changed their behavior and their ability to concentrate. 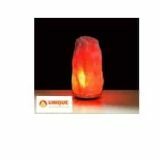 The crystal salt lamps of the Himalayas, besides having a warm and environmental brightness, produce negative ions naturally. It is known that negative ions help relieve symptoms caused by allergies, sleep disorders, migraines and depression. Negative ions help mitigate common indoor air pollutants such as dust, mold, moisture, and electromagnetic fields from computers and other television devices. When I bought a salt lamp, I was not too sure of them. I bought a pair to try to tell me that if they did not work, they would make really great night lights. As a mother of eight children, you can imagine that she was busy and was not trying to prove them. When my son Ryan was 5 years old, I suffered from migraines every day. I lived with constant pain. This migraine lasted four days. He was in a dark room for days, lying on the bed screaming. We circled our pediatrician and nothing could alleviate his symptoms. We gave him ten times the normal dose and he was always hysterical. Finally, at that moment I realized that I had to calm him down. He had read that the salt baths of the Himalayas had calmed down, but he had never tasted them. So I threw it into the bathtub with salt from the Himalayas and plugged a salt lamp into his room. After a few minutes in the bathroom, he calmed down. After twenty minutes, his headache had completely disappeared. He dressed and went down the stairs shouting: “Mom, I can see you again!” I felt so bad that I did not even know that I had lost my sight. It was almost four years ago. To date, he has not had a migraine. During his trip, he only had two small headaches that we could try giving him edible salt from the Himalayas.